On the heels of the approval of two of the United States’ first recreational laws in Colorado and Washington, other locales across the country are considering implementing policy changes that could decriminalize pot, ease penalties for users or eliminate weed laws altogether. 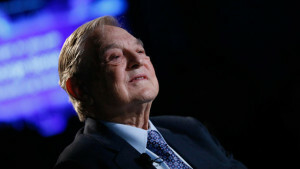 Advocacy groups are leading the campaign to crush marijuana prohibition from coast-to-coast, and 83-year-old Soros is helping line the pockets of those making that push. On Wednesday this week, Kelly Riddell at The Washington Times pulled back the curtain to reveal details about some of the roles that Soros has played in the pro-weed debate, and helped explain how the billionaire’s many foundations are fighting the war against pot prohibition.